Responding to Children’s Literature with the Arts!! 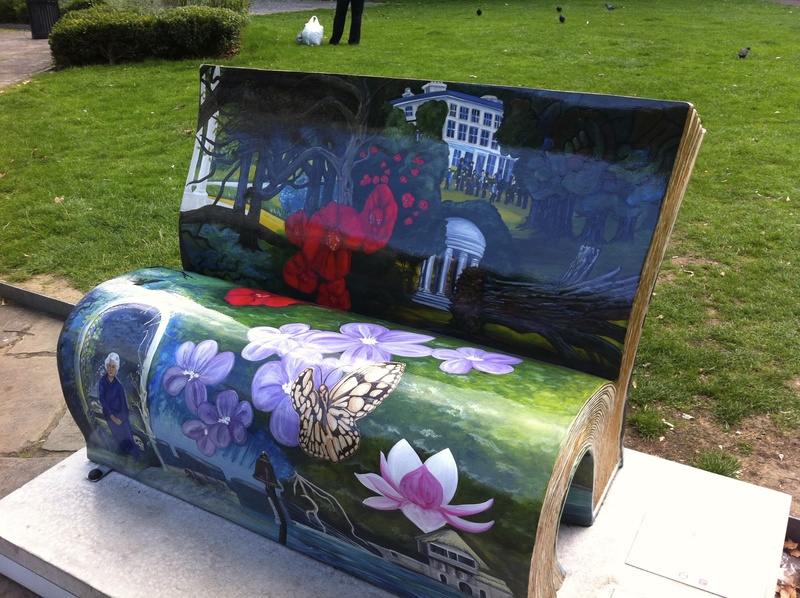 Spirit of Children’s Literature Is Moving + Giveaway! It’s FINALLY time for my Blog Announcement! The blog is moving—and I’m really excited because I’ve moved to a site hosted by the fantastic Ashley from Creative Whim. For awhile now, I’ve been thinking about moving the blog so that I have a bit more freedom creatively. I’ve found that with Creative Whim, and am even more happy (break out the tea!) because I’m also changing the title of the blog to something different. 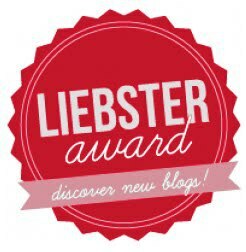 (Cue: dramatic music) The new blog name is….BOOKISH ILLUMINATIONS! There are a few reasons for this. First, I don’t just review children’s literature on the blog, though I do read and talk about a lot in this genre. In addition to picturebooks and middle grade literature, I read A LOT of Young Adult, as well as Adult. And, many of you know I love to bake, so there are a lot of cookbooks on my shelves. That’s another genre I’ve considered sharing on the blog. That will be on the horizon for 2015 with the new blog. Of course, I’ll still emphasize spirituality in the books I read (Illuminations) because that’s something I don’t want to get away from, but renaming the blog is just a broadening of the Books Horizon for Spirit of Children’s Literature. I hope you’re excited as I am! To celebrate the move, I’m hosting a giveaway that will go through the month of January. 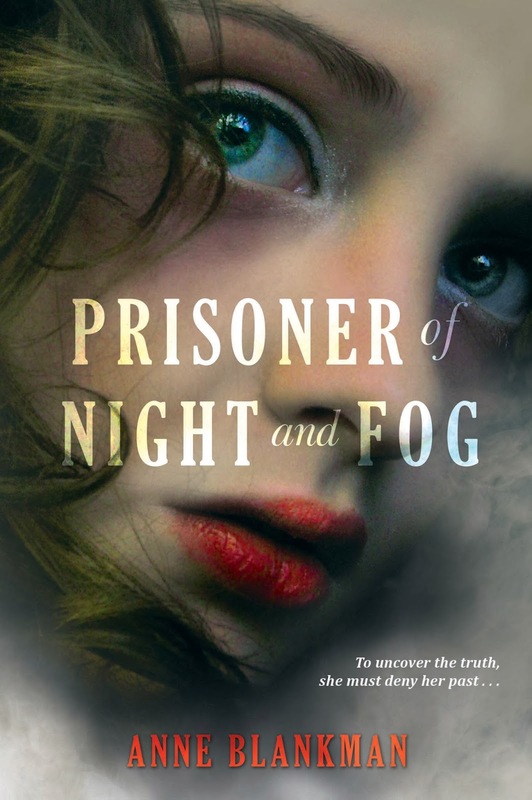 In fact, there are TWO giveaways—one to celebrate the Blog Move, and one to celebrate my first Author Interview of the year on the new blog with Anne Blankman, author of Prisoner of Night and Fog. You all know this was one of my favorite debuts for 2014, and I love a good historical fiction read. I can’t recommend this one strongly enough. Consider it a party all month long at Bookish Illuminations! One winner will receive a book of their choice from The Book Depository (up to $15 in value) and one of my favorites from 2014! Another winner will a book of their choice from The Book Depository (up to $10 in value). You’ll have to head over to the blog to see the giveaway. I would love to know what you think about the new design of the blog. So pour yourself a cup of tea, sit down, and let’s chat! See you over at Bookish Illuminations! Happy New Year, Blog Readers! You know what January means….another Bout of Books! This is Bout of Books 12, and it runs January 5th-January 11th. That’s next week! If you’ve never participated before, I hope you’ll consider joining. It’s absolutely fantastic–you get to read and connect with loads of other wonderful people who are also reading at the same time. I’ll be posting more later about which books I plan to spend Bout of Books with. Top Ten Fun Events in 2014 for Katie! This weekly meme is hosted by The Broke and Bookish, as usual. 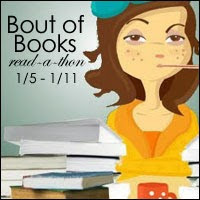 If you participate, do include your link on their page, so other bookish people can find you! 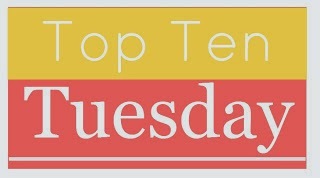 This week we’re meant to post our Top Ten Resolutions for 2015—bookish or otherwise. I have plenty of resolutions I could post, but I started to think it would actually be much better for me to post ten fun things/accomplishments from 2014—they weren’t all necessarily resolutions, but I’m sensing the need to look back on the year and note what I did accomplish so I can be thankful for that before I jump into my resolutions for 2015. So I hope you enjoy hearing a little more about my year! Some of these ARE bookish, so I was excited to share. I attended my first Writer’s Conference in Portland Oregon in March. It was fantastic! I normally only attend academic or children’s literature conferences, so this was a treat. I even met with an editor to get feedback on a nonfiction book idea. 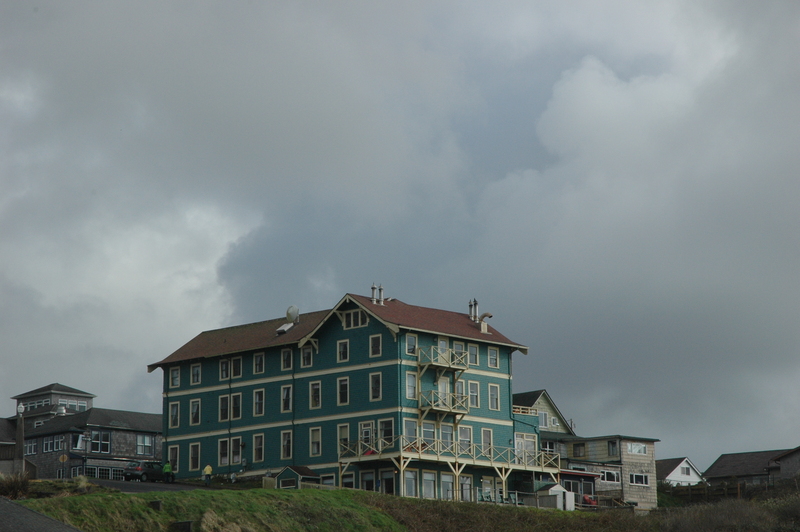 I stayed for the first time at a LITERARY BED AND BREAKFAST on the Oregon coast! I was in the Emily Dickinson room and there was a library on the 4th floor with a view of the ocean. It was divine! 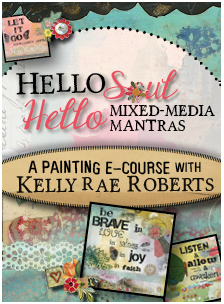 I started an online art class with Kelly Rae Roberts—one of my favorite mixed media artists. I’m still working on paintings I started in the course, but I was really excited to jump into something new that I found out I LOVE! I spent two weeks on Cape Code with one of my best friends in June/July. 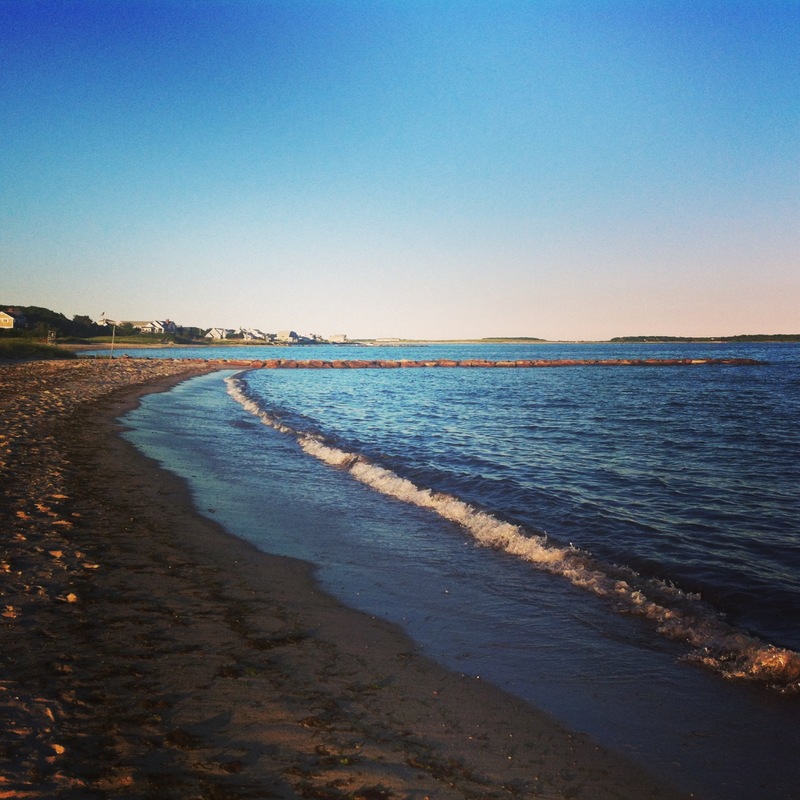 Even though I was teaching online, I had an amazing time enjoying the beauty of the cape. 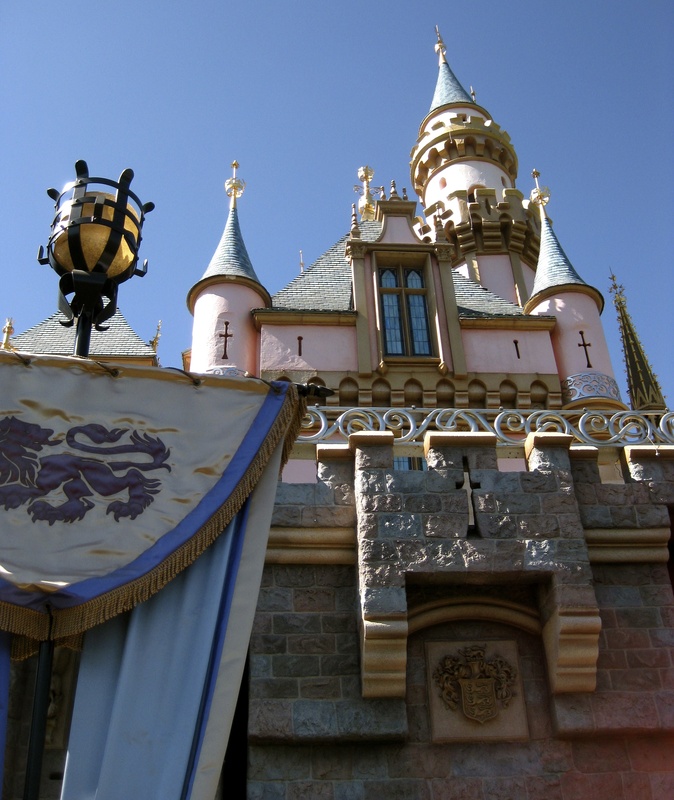 I went to Disneyland three times! 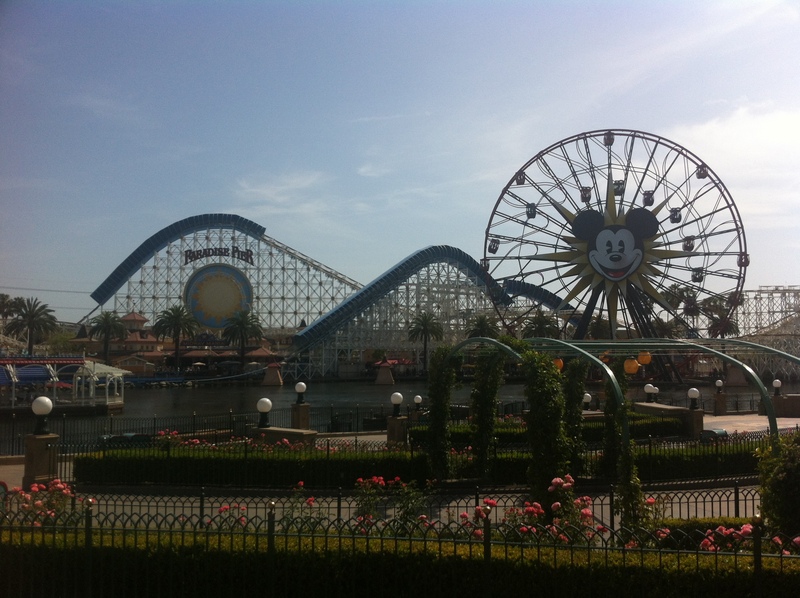 Ok, part of that is because I have a cousin who works there, and my other cousin lives down the road from Disneyland. It’s one of my favorite places, so this definitely made my year a brighter one…and being able to hang out with family made it even more special. Even though I didn’t get funding to go to Athens, Greece for the Child and the Book conference in April, someone graciously presented my paper for me, which was on time travel and spirituality in children’s and young adult literature. I was bummed I couldn’t be there because my grad school advisor and several friends were there, but maybe next year! I did get to go back to London in September and stay with my very dear friends for a little over a week. You may know that I lived in the UK before and there are so many people there I love to visit. It was perfect. I taught THREE classes in the summer. It was a lot, but it was helpful financially. I still can’t believe I’m alive and able to tell the tale of teaching that many classes in the summer, but here I am. Because I taught those three classes, I presented a paper at an Education Conference in Jerusalem after my stopover in London. It was a conference about early childhood education, children’s spirituality, and creativity. It was amazing! 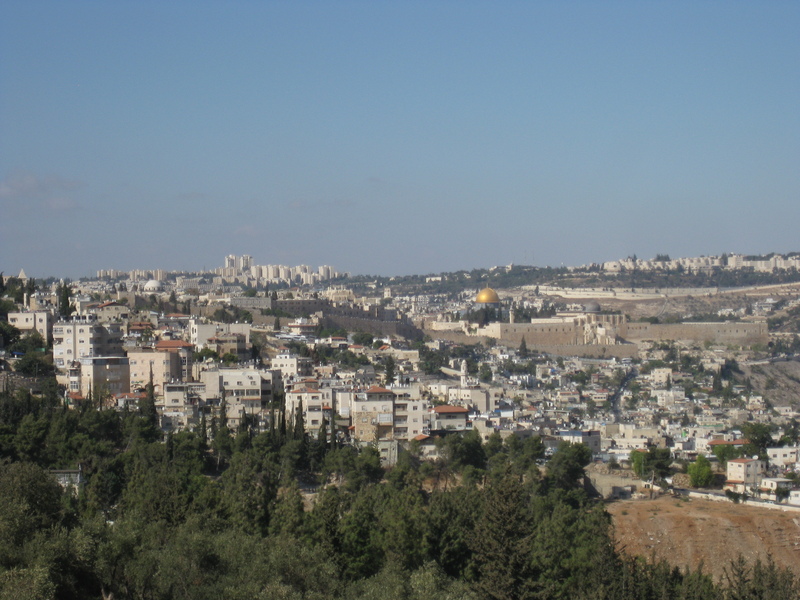 I spent almost three weeks in Israel—mostly in Jerusalem. 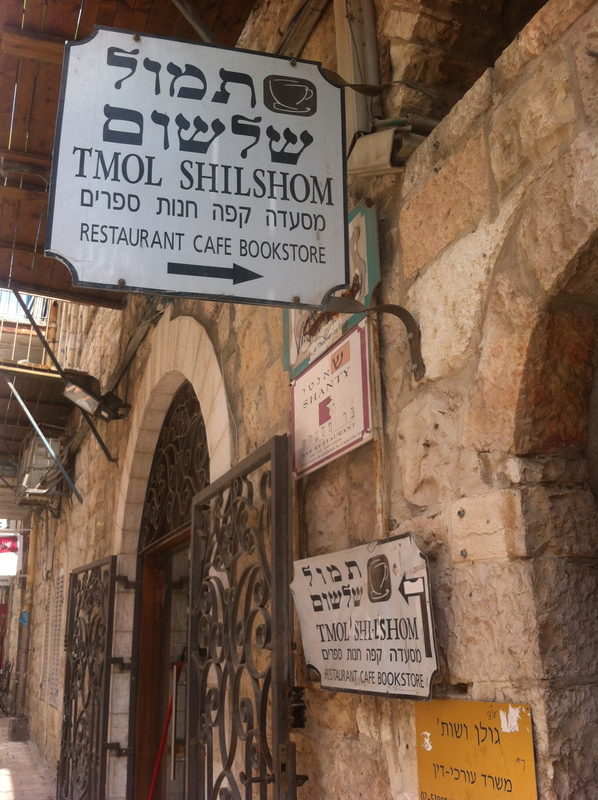 It was my second trip to Israel—earlier in the year I had no idea I would be able to make a second trip that soon. The Over 30 Book Bloggers Group was born!! I have loved chatting over e-mail and twitter with the ten or so ladies over 30 who love all things bookish. They are all encouraging and beautiful, inside and out, and their friendship is a great source of community for me in the book blogging world. I must add one more—I put all my stuff in storage and after traveling abroad temporarily moved to Cape Cod to focus on writing (Also job searching!). I was able to stay with some wonderful people I met through my best friend, and had a ball spending time with them. I taught one less class so I could focus on revising a book I’ve been trying to finish. Still working on that, but was able to get a lot of writing done, and hopefully 2015 will see the conclusion of that. Let’s be honest—I could add more, but just writing these eleven has been a good move for me as I take stock of the year and think about 2015…I think it’s always a good idea to look back and consider all that we did accomplish even if it feels like we didn’t get to the things we thought we would. I know I can think of a handful of resolutions I didn’t get to, but that’s ok. That’s what New Years are for! What are some of your fun accomplishments for 2014? I would love to hear! The Book: Divided into eight chapters and illustrated with charming and comfy black and white pencil drawings, McDonough’s biography of Laura Ingalls Wilder is a good choice for elementary readers interested in the life of the beloved Laura Ingalls from Little House on the Prairie. Here we learn more about the lives of Laura’s parents, Charles and Caroline, and about Laura’s early life growing up in the “Big Woods.” The book follows Laura all the way until her death, providing details about her life with Almanzo, her daughter, Rose, and her life as a writer. Readers will recognize events shared in the biography if they’re familiar with the Little House books. This is something the author mentions—the fact that Laura Ingalls Wilder wrote about the life she knew—and which made her historical fiction that much more powerful. 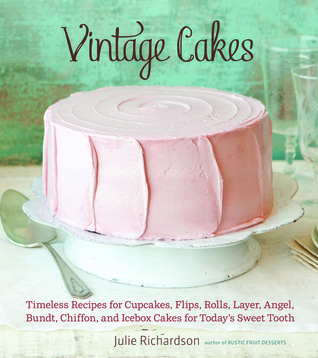 The book also includes quotes of Laura’s, “Games Laura Played,” a craft, and even recipes of foods mentioned by Laura. Highlights: Love the map in the front of the book—“Places Laura Lived”—including the states of South Dakota, Nebraska, and Kansas. At several points in the book, the author connects different events in Laura’s life to reinforce how those events contributed to her becoming a writer. These reminders made me think about how so many factors influence the roles we end up filling in our lives—but if we have a strong passion for something, it’s hopeful that we’ll end up nurturing that anyway. Who Should Read This Book: Readers of the beloved Little House books will appreciate this short and sweet biography, peppered with charming black and white drawings of various scenes from Laura’s life. It’s an easy read, filled with loads of information and interesting details about the various moves Laura’s family took throughout her life. To Read or Not to Read? : Yes! I’ve been a fan of the Little House books since I was a young reader, and I have always been fascinated by the fact that the books were inspired by the real life of a girl growing up on the Prairie. This biography reminded me of how much I loved reading about the Ingalls family and the daily routines of their life back in the middle of the 19th century. Historical fiction is a genre I ADORED as a young reader, and I still LOVE a good historical read today. You’ll notice I don’t post reviews of as many nonfiction books on the blog, but reading Little Author in the Big Woods has made me rethink that. 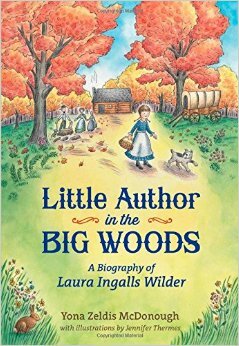 Nonfiction literature for children and young adults is a valuable genre, and it may be that my jaunt over the vast space Laura Ingalls Wilder journeyed during her lifetime via this short read just may inspire me to pursue more nonfiction journeys for young readers in the near future! Do you have a favorite Nonfiction read from 2014? Or from any year that you think I absolutely must read?? Happy Christmas Week! Things have been a bit slow on the blog due to travel by yours truly, but I’m settled in for the holidays now, so glad to be back! You may have noticed: my blog announcement hasn’t been made yet. That will change soon, so stay tuned. Welcome to another Middle Grade Monday! I received an e-ARC via NetGalley from Wendy Lamb Books. This in no way influenced my review! Thank you, Wendy Lamb Books! The Book: Set in 1972, on Cape Cod, this middle grade realistic story charts the ups and downs in the life of a young girl whose mother becomes ill with multiple sclerosis. Along with her sister and father, eleven year-old Chirp wants to see her mother get better, and attempts to cheer her up in the midst of a very difficult season of life. Even though Chirp’s friend, Joey, has his own challenges at home, the antics of the two friends keep the story filled with humor. At times heart-wrenching, the story reflects the work of an author who doesn’t shy away from engaging with serious topics in this heartfelt and beautifully written story. Spirituality in Nest: How does the heart heal after tragedy? Is the love between family members strong enough in the face of losing a loved one? Both of these questions are raised in the story, suggesting a deep and moving aspect of the book. This one definitely raises some thought-provoking moments, though it took me awhile to get into the story. Chirp’s aesthetic appreciation for the natural world and her awareness and observation of that world is yet another aspect of spirit in the narrative. Her keen observation of birds and wildlife reminded me a little of the way Anne Shirley is in tune with the natural world. Who Should Read This Book: Though booksellers might consider this book for readers younger than twelve, because of the subject matter and the way it’s represented, I’m going to suggest the book for readers twelve and up. Of course, parents may decide for themselves whether this book would work for a young reader or not. That’s just my two cents. There are some very serious and intense topics and moments in the story, but realistically, some young people have to face situations such as the ones the story brings up. In that case, the book would be extremely relevant. The Final Word: It took me awhile to get into this story as I felt the pace was a bit slow, but once I reached a certain point—about halfway through—it seemed to pick up. 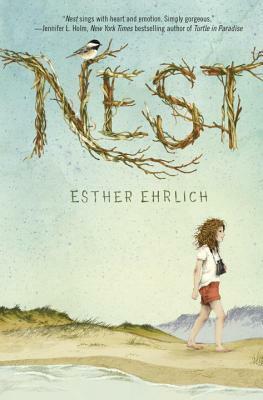 I enjoyed the patterns and echoes Ehrlich employed in the story, and the motifs she used, such as the nest and the birds. I especially appreciated learning more about Cape Cod and the different types of birds living in that environment. The story reflects multiple moments of beauty and celebrates an aesthetic appreciation of the nature world. The story, though tragic at times, ends on a note of hope. Have you read this new Middle Grade release? What did you think? Looking for a specific book? Search below! 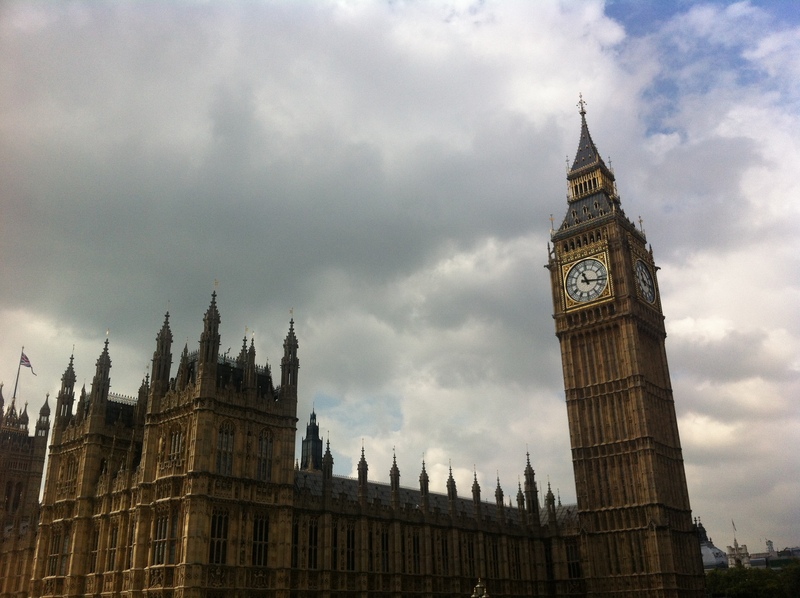 I'm a recent Ph.D., have too many books, read constantly, must write, and am in love with the United Kingdom. If I'm not reading, writing, dancing, traveling, or blogging, you can find me cooking and baking, listening to Regina Carter, dreaming about Turkish Delight in Istanbul, or plotting my next gelato tour of Italy. 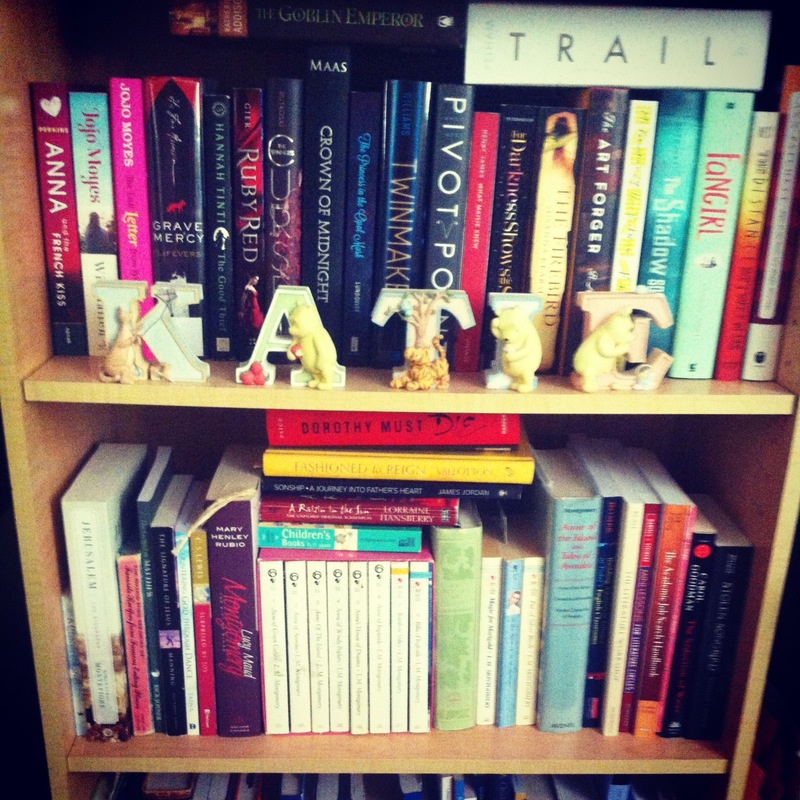 Share book reviews and ratings with Catherine , and even join a book club on Goodreads.